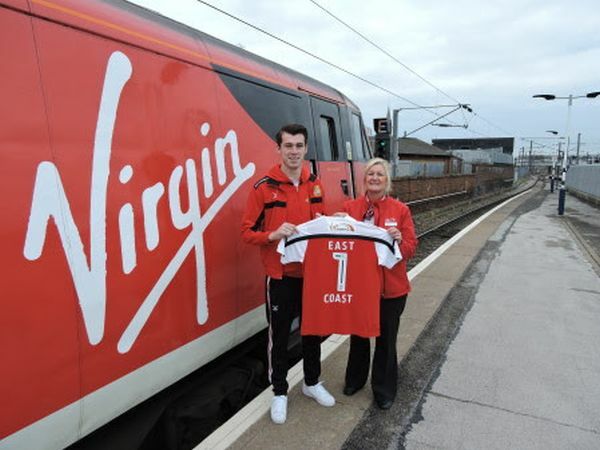 Doncaster Rovers, just about top of the Fourth Division (Football League 2 for younger readers), has secured Virgin Trains (East Coast model) as sponsor of the pre-match warm-up gear which is worn by the players prior to the kick-off. It is officially called the training kit. Your editor in chief, a long-time supporter of Luton Town, was at Doncaster last Saturday for the meeting of Rovers and Hatters. Travel was, of course, by Virgin Trains. He reports that the service was excellent, the only flaw in an otherwise excellent day out the Doncaster goal, the referee missing an obvious foul. The result: 1-1. As part of its sponsorship, Virgin Trains is running a competition, with a prize of two First Class rail tickets to High Wycombe when Doncaster visits on 22 April. The only problem is Virgin Trains does not go to High Wycombe. It is part of the Chiltern Rail franchise! Let’s hope the Doncaster Rovers team at least is organised from London King's Cross.